Some safety rules are timeless: “Don’t talk to strangers.” But some are not: “Go play outside, just be back before dark.” As the times change, it’s important to evaluate your home safety rules. Here are a few outdated safety rules that you might be using in your home and a few ways to update them. Outdated: Always leave your lights on when you aren’t home or when you go on vacation. This burglar-deterring tactic has been around for decades. The idea behind it is simple: Burglars would rather break into an unoccupied home, so make your home look occupied. There are better, more believable ways to trick burglars into thinking you’re home. Updated: If you’re only going to be gone for a short while, leave a light and a TV or stereo on to give the appearance of being at home. But for longer periods such as vacations, install timers for your lights, TVs and radios. When you use both audio and visual cues at timed intervals, it makes a presence in your home more believable. Another option is to consult a licensed, knowledgeable security professional about the latest technological innovations, which allow you to remotely control devices such as lights and appliances via smartphone or tablet. Electronic Security Association (ESA) member companies are an excellent source of expertise; find a member in your area by using the search function on the home page at www.alarm.org. Outdated: Hide a key under the doormat in the event you get locked out of the house. Even with the brilliant invention of hide-a-key rocks, hiding a key outside of your home is never a good idea. Before a burglar breaks in, he or she will check under the doormat, under rocks and inside of the mail box for a hidden key. Updated: Upgrade to keyless entry locks. This new, secure technology will require your fingerprint or secret pass code before granting entry to your home. If new technology isn’t in your budget right now, you can still keep your property safe by asking a trusted neighbor or friend to hold onto your spare key in case of emergencies. Outdated: I don’t need to invest in an actual alarm system if I can make burglars think I have one. Whether it’s a dummy security camera, a beware of dog sign or a generic alarm company sign placed in your lawn, burglars can tell the difference between real and fake security measures. Updated: Invest in a monitored home security system. 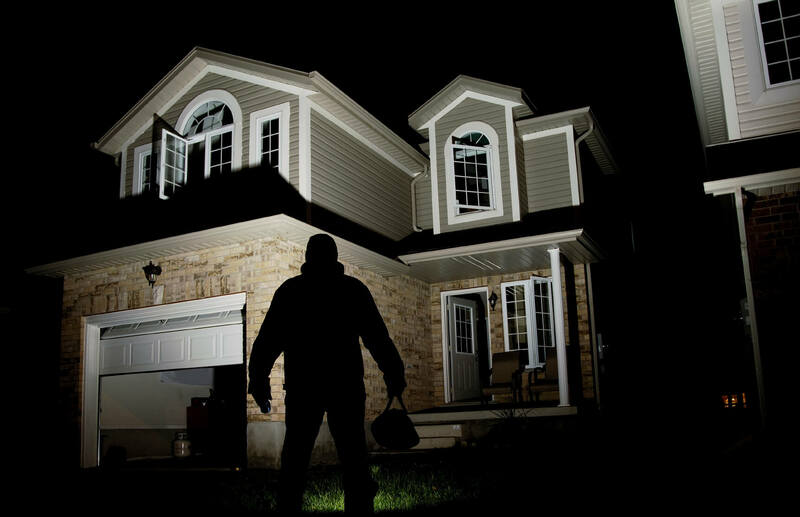 Studies show that home security systems serve as strong deterrents for burglars and protect lives and property in the event of a home intrusion. You can find a trusted alarm company here to help you find a home security solution that will fit almost any budget. By revising your outdated security rules, you can help protect your belongings and yourself. And remember to keep up with the latest information in home safety by regularly visiting www.alarm.org.